Bringing back consistently loyal customers to your HVAC company for service should always be a company objective. A loyal customer base provides the backbone of your business revenues, much more so than generating new business does. Many marketing methods are available to keep customers returning for service that can be effective when deployed properly to your customer base. 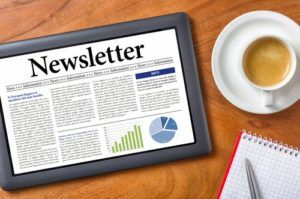 One of the surest methods of HVAC customer retention is sending out contractor newsletters. You may be saying to yourself that you just don’t have the time and energy to write this stuff. Consider the services you provide as an HVAC contractor. Much of the work you perform is frequently seasonal when considering air conditioning and heating. When taking this into consideration, there is not a lot of difference year to year when reaching out to your customers with contractor newsletters. Much of the language used can be retained for future use on subsequent contractor newsletters. Sure, you could send a simple maintenance reminder on a postcard mailer. But what about telling your customer the importance of the maintenance, including the continuation of warranties or extending the life of the equipment in the client’s home? The goal is to keep your customers informed. Point out that getting this done early can prevent problems that may happen later during the hot season when something goes wrong. The same can be said for going into the fall and winter season when performing tune-ups and inspections. When distributing these newsletters to your client base, use additional space to keep them up to date on new or expiring energy rebates. Give them usable information with an article on choosing the appropriate air filters and how each is expected to perform. Also, give them a way to respond easily, such as a personalized webpage, QR code, or postage-paid reply card. Contractor newsletters should extend beyond just letting customers know about your services. Keeping them informed with informative and actionable news will be more than appreciated.